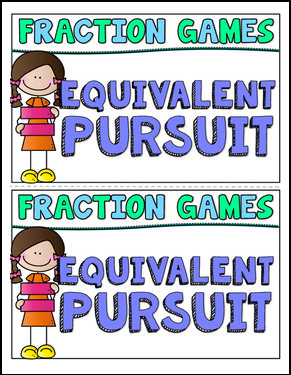 The 3 math games included in this sample will give you an opportunity to try Math In Motion in your classroom or take a closer look at the format and rigor of this game collection before making a purchase decision. A rounding game designed to help students master rounding to the nearest 10, 100, or 1,000. 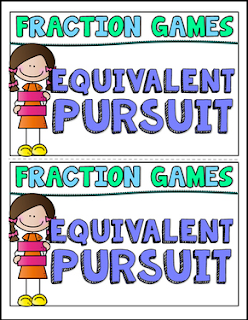 A fractions game designed to help students identify simple equivalent fractions. A multiplication game designed to boost fact mastery and students' ability to compare numbers. These games are aligned with third grade Common Core standards, but are also the perfect remediation tool for fourth and fifth graders who are struggling to master these foundational skills. Each game is designed to make your life as a teacher easy. Most games use common math manipulatives (playing cards, counters, flash cards, dominos, dice and timers). A few others have printable game cards that can be laminated for reuse. Both full-color and black-line masters are provided for your printing preferences. This resource makes setting up math centers in your classroom a breeze but can also be used for "math with someone" or "partner work" during your math block. The format of each game card will optimize student independence with a consistent easy-to-read format that gives them every detail they need to play successfully. If you are interested in bringing the entire Math In Motion collection into your classroom, you have the option to purchase games for specific math topics and grade levels, or to bundle them for a discounted price.